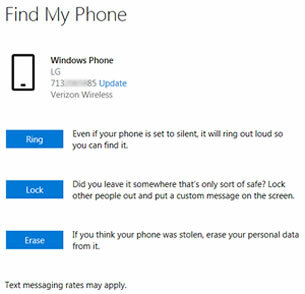 Go to the Find My Phone page for the Windows Phone device that needs to be locked. 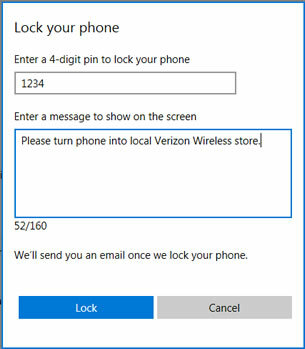 Enter a 4-digit pin then click Lock. If desired, enter a message to show on the device's screen.